If you oversee the human resources department and have been tasked with implementing a drug-free workplace, you have a lot to learn. With proper planning, you can implement a successful drug-free workplace program but, businesses failing to understand their requirements and liabilities can face severe penalties and lawsuits filed by workers. This is Part 1 the blog series, Drug-Free Workplace - A Human Resources Guide. If you want to jump to a specific part, use the nav below. We’ve compiled information provided by the Substance Abuse and Mental Health Services Administration (SAMHSA) and industry experts to provide human resources personnel a clearer understanding of how to implement a successful drug-free workplace program. Your business's philosophy on drugs and alcohol sets the tone for its drug-free workplace. If your executives and supervisors don’t care about substance abuse prevention, this damages the program’s effectiveness. Some business will focus on detection, apprehension, and discharge. They will apply a strong law enforcement model that treats employees as criminals. Other businesses focus on performance and emphasize deterrence and addiction treatment. 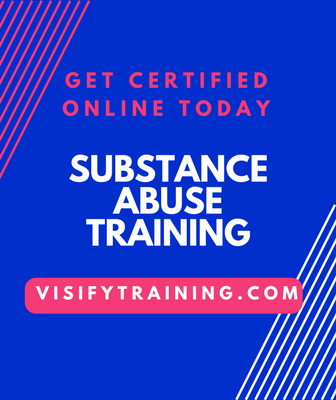 They view substance abuse as causing impairment of otherwise capable employees. The most effective drug-free workplace programs strike a balance between these two philosophies. Send a strong clear message and encourage employees to seek help with their drug abuse problems. Focusing only on illegal drugs. Failing to include alcohol use–the number one drug of abuse in our society. Accepting drug and alcohol abuse as part of modern life and a cost of doing business. Focusing on termination of drug users rather than rehabilitation. Reluctant of supervisors to confront employees on the basis of poor performance. Reinforcing an individual's denial of the impact from his or her alcohol and drug use. Restricting benefits and access to treatment for alcoholism and addiction. Allowing insurers to restrict access to substance abuse treatment. The rights of employees and the rights of employers. The need to know and rights to privacy. Respect for employees and the safety of all. Let’s face it, even the most successful drug-free workplace programs have lawsuits. No business is invincible as long as there is adverse action against employees. How do you protect your business against lawsuits? The regulations surrounding drug-free workplace policies and drug testing can be complex. Don’t plan on your own. The best way for you to protect your business against lawsuits is to seek counsel. Legal counsel can help develop your workplace policy. There are experts who can provide insights that you may not have considered. This will ensure that the new policy is consistent with the regulations. Learn more about our policy development services. If you feel the only option is to draft a policy on your own, make sure to write it fairly and consistently. It shouldn't conflict with any federal, state, local civil rights, or workers' rights laws. It’s important for employers—and their employees—to understand their own legal rights and obligations. Otherwise, employers may make serious and costly legal mistakes. As a result, employees may feel wronged, persecuted, or deprived of personal power. Be sure that your executives, supervisors, and employees are all on the same page. Seek outside counsel in the early planning stages.